Aqueous Solution for simultaneous Cleaning and Sanitation. Aerocare 1-03N is characterised by its intensive cleaning power, its pleasant odour and its excellent material compatibility. 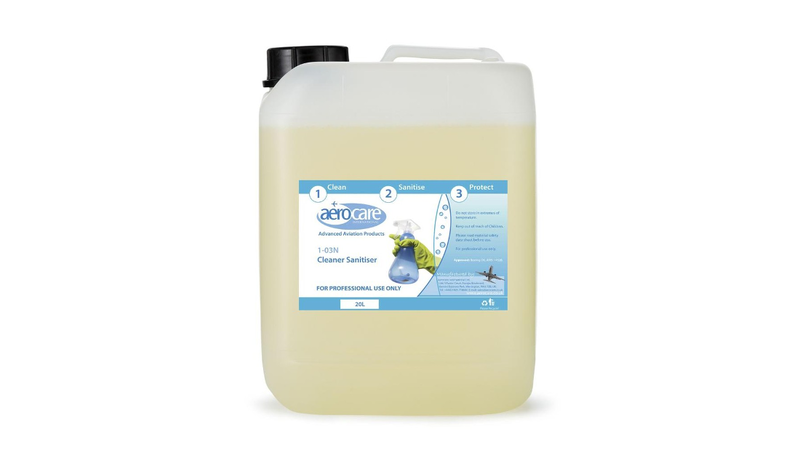 Aerocare 1-03N incorporates a neutral detergent PH 6.5 -7.5 and Aerocare 1-03 multi biocidal acticides at very low concentrations which guarantees safety when used regularly due to its excellent resistance to microbial recolonisation after application. Non Toxic, Non Hazardous, Ecologically Harmless. Aerocare 1-03N is effective against bacteria, viruses, fungal to BS EN 1276, BS EN 1650, and BS 6920.